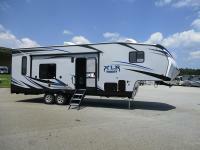 Take your camping and travels up a notch with the XLR Boost 33RZR16 toy hauler fifth wheel. 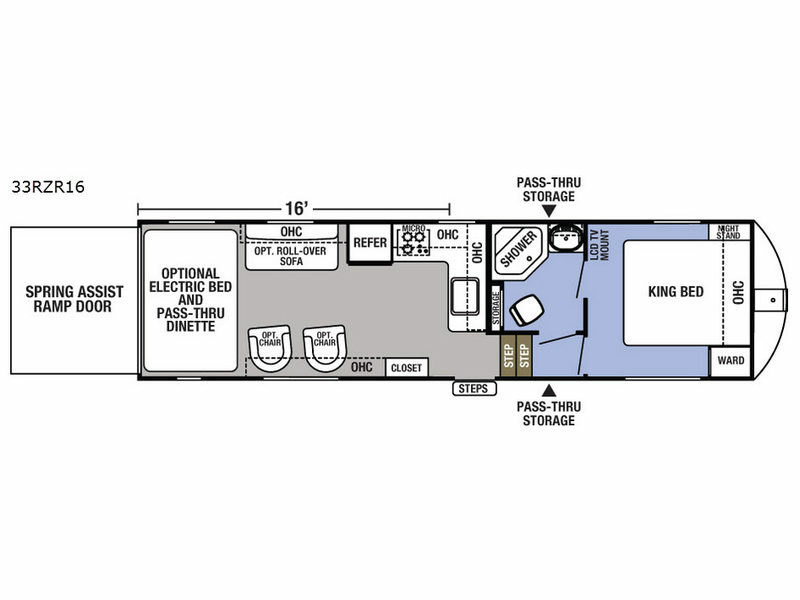 With plenty of room for your ATV or dirt bikes, you can let the fun continue longer. 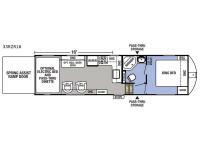 The cargo area has plenty of options available such as an optional roll-over sofa, and across from the sofa there are optional chairs. Also, more sleeping space can be found on the optional electric bed and pass-thru dinette. The front bedroom is perfect for a good night's rest. There is even a private entry door into the bathroom for some added convenience.